50 ft. 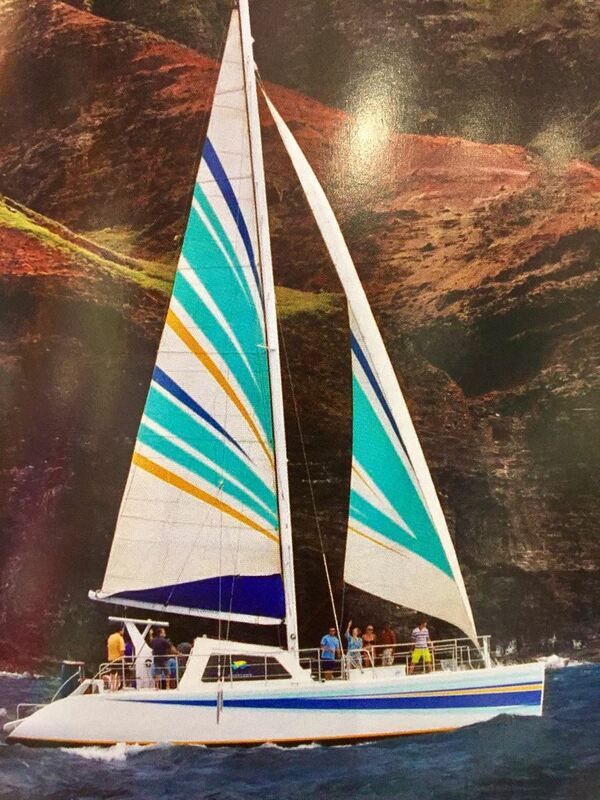 Sailing Catamaran LEILA For true trade wind sailing on Kauai join us aboard "Leila", a beautiful 50' sailing catamaran. Nobody sails more and It's not uncommon to attain speeds up to 18 knots! When the winds permit, we sail while having breakfast. As we head for our destination your crew will be entertaining your imagination with stories of the Hawaiians who once lived there. Considered to be "The Jewel of Kauai" with 3,000 foot cliffs, green valleys, hidden beaches, secluded waterfalls and breathtaking beauty the Napali coast is a sight to be enjoyed from sea level. 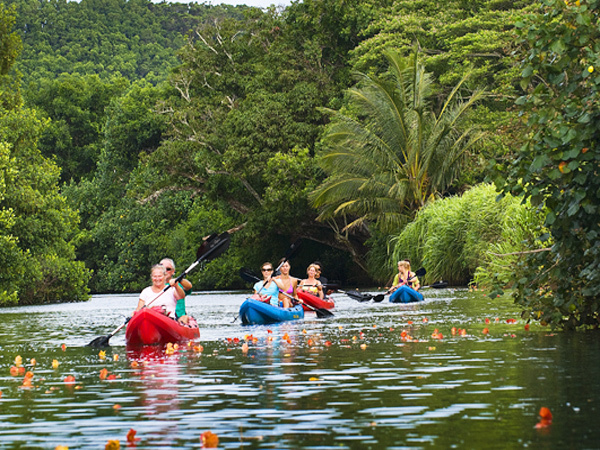 Your tour will include a continental breakfast, gourmet deli style buffet lunch, soft drinks, beer, wine and snorkel gear. check in 8am returns 2-215pm 1. No expectant mothers. 2. Not recommended for individuals who have or have had back problems, recent surgeries, or suffer from severe motion sickness (no refunds are given for sea sickness) 3. This is an adventure. Ocean conditions can vary and may turn rough at times. It may not be suitable for some folks (frail or physically challenged individuals are subject to Captains discretion). 4. If you do not have your prescribed medication with you, i.e. Inhalers, Epipens, diabetic medication and/or any other medications taken daily, we ask that you reschedule your tour for another day. This is mandatory. 5. All tour routes and destinations are subject to change without notice. Ocean conditions can and will sometimes turn rough. 6. 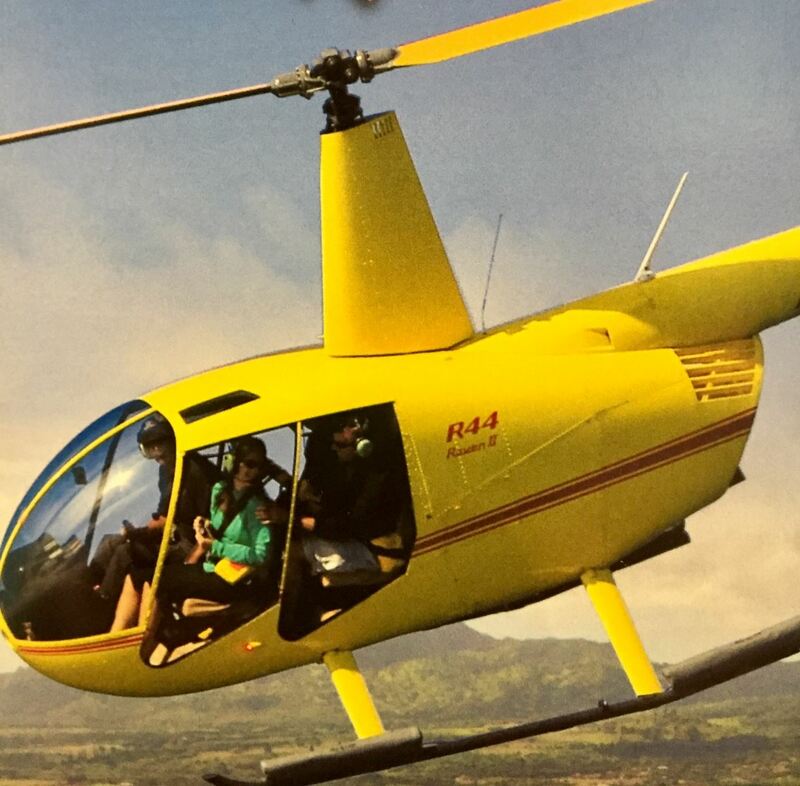 Cancelled tours by Holoholo Charters are fully refundable or gladly rescheduled. 7. Cancellation of reservations with less then 24 hour notice is subject to a 100% charge of the total fare including tax. 8. No Shows will be charged 100% of the total including tax. 9 Children must be 6 years or older on snorkel tours, 5 years or older for sunset tours. 10. Seasickness is best prevented with an over the counter remedy. 11. All tours are Bare-Foot. No shoes are allowed on board. Passengers will remove their shoes prior to boarding. Only Orthopedic/Diabetic exceptions will be made at captains direction. 12. If passenger will be consuming alcoholic beverages an ID will be required on the vessel. 13. Alcohol will be served only after snorkeling. 14. Snorkeling depends on ocean conditions. 15. No coolers allowed on board. 16. Smoking allowed according to Captains instruction only. 17. You should bring your own towels, sunscreen, a light jacket, camera and film. We will provide everything else. 18. We do not land on shore. 19. Do not park at the harbor or pier. Please use HoloHolo parking lot only or your car will be towed. 20. We are not responsible for lost, damaged or stolen items. 21. We reserve the right to refuse service. 22. Non swimmers are not allowed in the water on these tours.